The director had been teasing a "dark, sweet, and special" project that he intended to unveil during Sony's presentation. James Gunn was set to announce a sinister-sounding new project Friday night during Sony’s San Diego Comic-Con presentation, but hours after losing directing duties on “Guardians of the Galaxy Vol. 3,” he was a no-show. This afternoon, Marvel-owner Walt Disney Studios announced Gunn would no longer helm his third consecutive film for the Marvel’s “Guardians of the Galaxy” franchise. In an official statement, the studio announced that it had “severed its business relationship” with Gunn after new attention was placed on his past Twitter jokes about pedophilia, terrorism, and more. 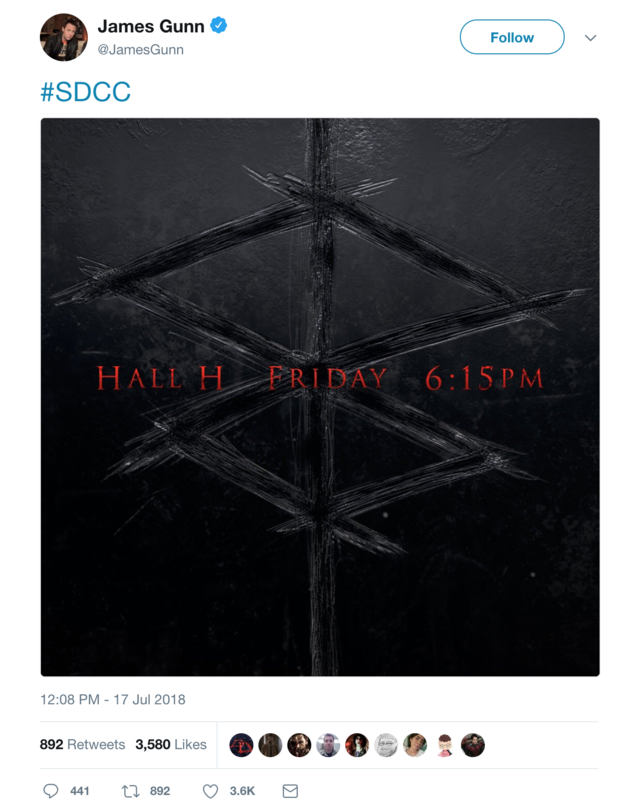 Sony never confirmed Gunn’s once-expected attendance, and made no mention of his undertaking during its Hall H presentation. Instead, the studio focused on 2018 releases “Spider-Man: Into the Spider-Verse” (December 14) and “Venom” (October 5.) The moderator clearly tried to stretch her stage time, extending the conversation with director Ruben Fleischer and stars Tom Hardy and Riz Ahmed. 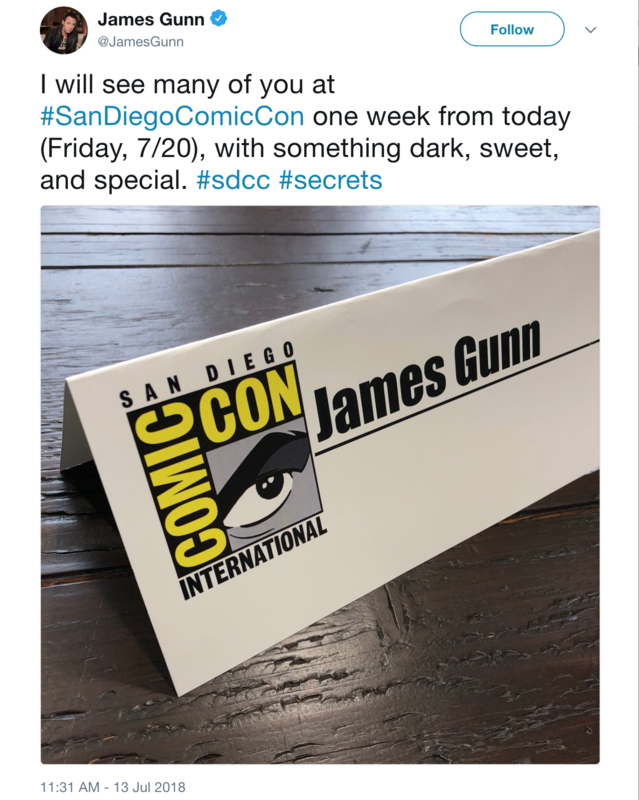 Based on the teasers Gunn tweeted in days prior — including news that “something dark, sweet, and special” is coming, and a black poster with what appears to be a number 8 — social media users extrapolated he has been readying something spider-centric. IndieWire has reached out to Sony for comment.